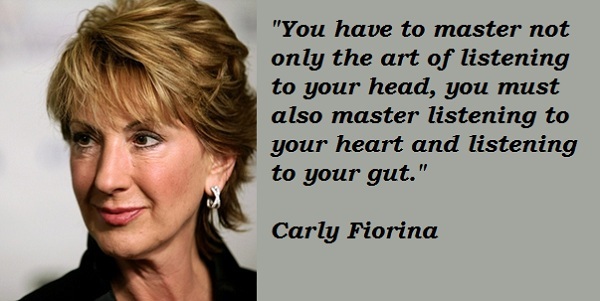 See the gallery for quotes by Carly Fiorina. You can to use those 8 images of quotes as a desktop wallpapers. Fiscal policy is not just, or even not even principally, the purview of the president. I am a conservative and proud of it. I certainly support civil unions. I don't give up on commitments until what I've been asked to do is clearly finished. I have very eclectic tastes. I know why jobs go, and I know why they come. I lost my job in the most public way possible, and the press had a field day with it all over the world. And guess what? I'm still here. I mean there are many people who have endorsed me that I agree with on some things and not others. I really believe that all CEO pay should be voted on by shareholders ahead of time. Mine was. I started out as a receptionist. I typed, I filed, I answered the phones for a little nine-person company. I think a strong dollar is the result of policies, but I don't think the strong dollar is in and of itself a policy. I think bolstering free trade is a boon to the dollar. I think the dot-com boom and bust represented the end of the beginning. The industry is more mature today. I think when you've been a career politician for 34 years you have to run on your record. I'm not a professional politician, I'm a problem solver. I've traveled around the world. If values matter in an organisation, you have to be prepared to act consistently. Look, you need technical skills to run a company. Many people have asked me how I feel about losing my job. 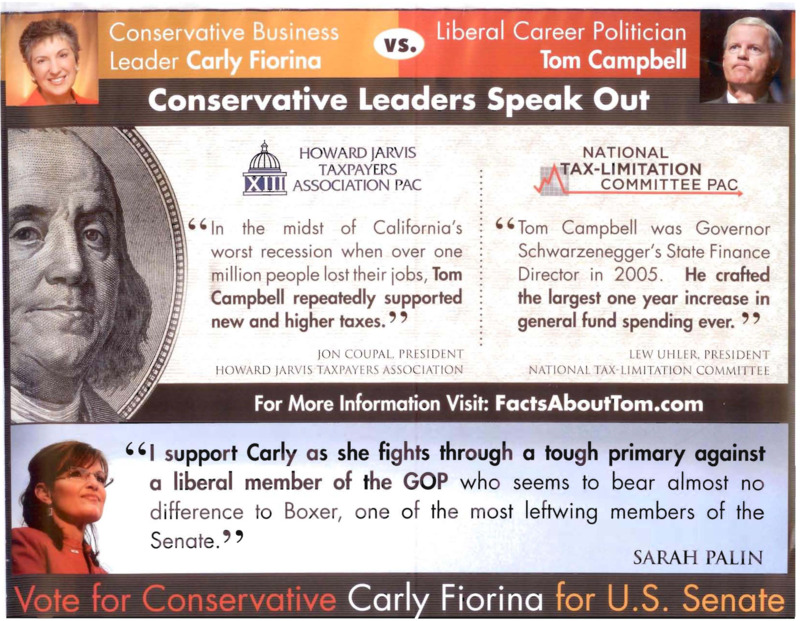 Much more quotes by Carly Fiorina below the page. My goodness, my hair's been talked about by a million people, you know? It sort of goes with the territory. Obviously the Senate is a federal office, but to get California's economy moving again we need to do some things in the federal arena. People have decided that career politicians may be part of the problem, not part of the solution. Quitting law school was the most difficult decision of my life. But I felt this great relief that this is my life and I can do what I want with it. There are Tea Parties, and I would say plural, in California. Very ugly things were said about me. Well I'm not a novelist. I've only written one book and that is a memoir. What I have said to people is that I've lived the American dream, because I have. When men cut jobs, they're seen as decisive. When women do, they're vindictive. Women are not all single-issue voters. You do not need to have a 2,400-page bill come out of Washington, D.C.
You don't create jobs by passing bills, you create jobs by cutting taxes. I started out typing and filing and answering the phones for a little nine-person firm. And that nine-person firm gave me my chance to find my own way. A boardroom is a collection of individuals, and individuals have varying motives, egos, agendas and qualifications. Sometimes the dynamics can go off track. I felt disconnected from the decisions made in Washington and, to be honest, really didn't think my vote mattered because I didn't have a direct line of sight from my vote to a result. 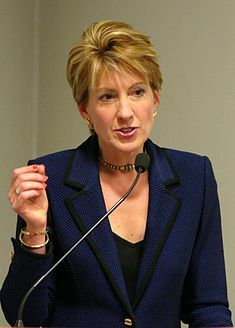 I think it would help tremendously to have a senator that knows where jobs come from, that knows how to create them, that knows how to bring them back and, importantly, knows what it means to manage billions of dollars' worth of expenses and cut billions of dollars' worth of expenses. I think we ought to ban earmarks. I think we ought to give citizens the opportunity to designate up to 10 percent of their federal income tax toward debt reduction. If we did that, we would reduce our debt by $95 billion a year. The GAO just released a report that said 22 percent of federal programs fail to meet their objectives. The truth is we don't know how taxpayer money is spent in Washington, D.C., which is why I think we ought to put every agency budget up on the Internet for everyone to see. 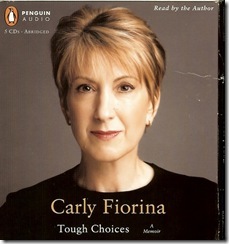 Well, first, if I am fortunate enough to be elected to the U.S. Senate, it won't be a party that will have elected me. It will be the people of California. When our most important issue is the debt that we're piling on our children and grandchildren, I think it's pretty helpful to have someone in the U.S. Senate who has actually managed billions of dollars and knows how to cut billions of dollars. You know, I believe that technology is the great leveler. Technology permits anybody to play. 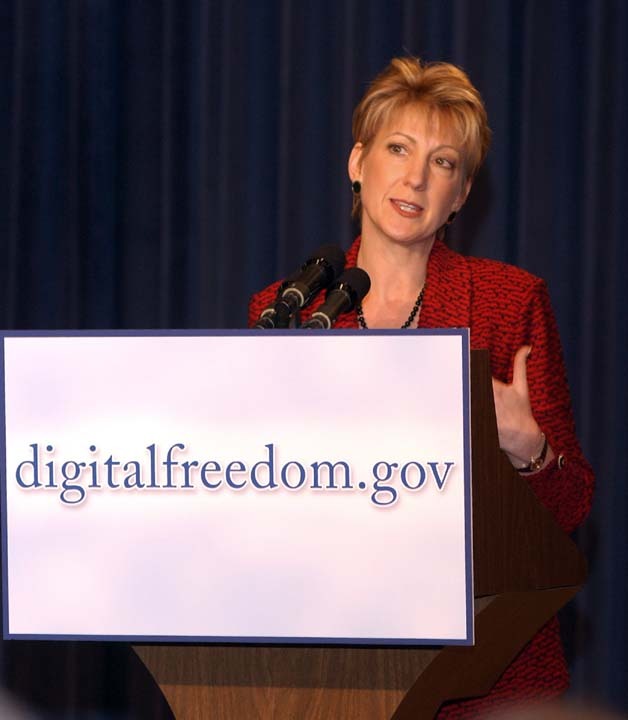 And in some ways, I think technology - it's not only a great tool for democratization, but it's a great tool for eliminating prejudice and advancing meritocracies. This world is clearly emerging before our eyes. The shifts ahead, the opportunities ahead are massive. Well, I've been a Republican for all of my voting life. Look, I'm a cancer survivor, all right? So I have great personal empathy for people who have pre-existing conditions and can't get insurance. I don't take on a fight just for a fight. I don't tilt at windmills. Of course people think Washington is arrogant. It is. There is no job that is America's God-given right anymore. You know, I'm very proud of the large number of Hispanic endorsements that I've received. A merger is hard to pull off under any circumstances. It's harder when everybody is against you. Californians are worried about whether they will have a job along with ballooning federal spending and deficits.